Who Uses Car Relocation Services? A reliable auto transport company that offers a range of car relocation services is crucial in helping individuals, families, and corporations relocate from location to location. Individuals and families utilize these services to transport their cars, trucks, vans, SUVs, and/or motorcycles to their new permanent residence or vacation destination. In contrast, car dealerships use an auto transport company in dealer to dealer trades and more. Why Use Car Relocation Services? There are numerous benefits to using a car transport company versus driving to the destination. If you prefer to spend your time on other, more important moving-day tasks, hiring an auto transport company allows you to do so. Rather than spend hours driving in traffic, ship the car. It is a safe, easy, and affordable solution. Not only will you save on mileage, you will save on other expenses, as well. You will not have to worry about gas, lodging, or food along the way. You can be rest assured that your vehicle will be shipped in a safe and secure manner, relieving some stress from the move. Where Are Car Relocation Services Offered? At National Dispatch, we offer national car transport services .This means that you can get your car shipped to or from anywhere in the United States. Therefore, even if you need coast to coast auto transport, we can assist you. Use our online quote calculator, located on our website, to find out the cost to ship your car. Open Auto Transport: Open auto transport is the most widely used method for shipping a vehicle from one location to another. It is also the most cost-effective one. This method utilizes an open auto transport carrier, which is capable of transporting up to nine vehicles at one time. If you choose this method, you must keep in mind that the vehicle will be exposed to weather and road elements. Learn more about open auto shipping. Enclosed Auto Transport: Although open auto transport is the most popular auto shipping method, there are other options available. Enclosed auto transport is available as an alternative. It is especially favored by people who own high-priced vehicles, such as luxury, classic, sport, and exotic models. These cars may not be driven often and may be stored in a garage. Therefore, it is important to keep the mileage down and protect them from the weather and road elements. An enclosed trailer does just that. It provides you with added peace of mind and your vehicle with greater protection. However, it comes at a higher cost than open auto transport. Learn more about enclosed auto shipping. 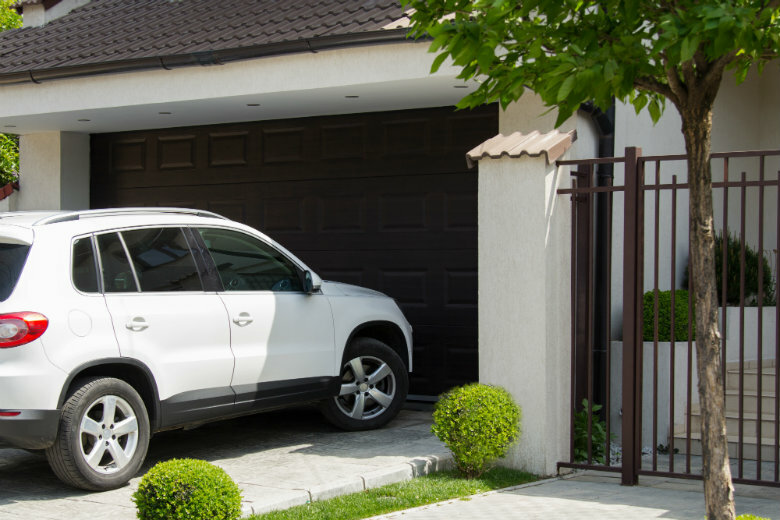 Door-to-Door Auto Shipping: You can have your vehicle picked up directly from your home or place of business and delivered to its destination. As long as the location is accessible for the transport carrier, then this is an option to keep in mind. It makes the shipping process easy and convenient. If you live in an area that is not easily accessible, arrangements can be made. Non-Running Vehicle Transport: If you own a vehicle that does not run, we are capable of shipping it for you. Inoperable cars require special equipment and manpower. Therefore, it is costlier to transport a vehicle that is inoperable than one that operates normally. It is important to inform us of the condition of your car when requesting a car transport quote. This is so that proper arrangements can be made prior to transport. Learn more about non-running vehicle shipping. Guaranteed Auto Shipping: The shipping option you choose will depend upon how soon you need your vehicle picked up and delivered. At National Dispatch, we offer three different shipping options to meet your timeline and budget needs. If you need your car delivered as soon as possible, our guaranteed shipping option is the one for you. After determining the car transport services you need, you should request a car shipping quote from the company. Many companies offer a quote calculator on their website. This allows you to enter in some information about your vehicle and receive an estimated shipping cost. However, not all quote calculators are created equally. The cost to ship a vehicle from one part of the country to another depends on a number of factors. Location. The pickup and delivery location play an important role in determining how much it will cost to transport. Transport carriers frequently travel to major cities. It is often easier for large transport trucks to get around in locations near an urban area than a rural location due to the major highways. Type of car. Larger cars take up more space on the carrier. In addition, they weigh more. For these reasons, it often cost more to transport a large car versus a small one. Distance. One of the major factors to consider is how far your car is being transported. Coast-to-coast shipping is more expensive than the alternative due to mileage. Additional services. As we discussed above, costs vary depending on the type of carrier, shipping method, and more. How Is National Dispatch’s Quote Form Different? No personal information is required – no name, email, phone number, etc. Shipping your car is easy with the help of National Dispatch. If you are in need of car relocation services, we encourage you to use our free, instant quote form. If you prefer to speak with someone by phone, call us at 800-321-2051.